Corporate social responsibility (CSR) is an area where businesses can address and integrate social and environmental concerns into their operation, as well as in their interaction with stakeholders in a voluntary basis, reiterates Ms. Rita Soh, Managing Director of RDC Architects. It is not merely the fulfillment of what society has come to consider a must, she adds. “A lot of new things have surfaced along with issues such as sustainability, climate change, and social equality, which have made us re-examine the concept of corporate social responsibility.” For Ms. Soh and many of her professional peers, CSR has grown beyond a mere ethical theory that involves the organization, but a personal commitment of the individual professional. Ms. Soh is seeing how CSR is redefining corporate approach to various projects: “If I were engaged to work on a hospital project, for example, I would still have to fulfill the technical requirements of the job – the plan, the workflow, and so on, but I would do it with a heart.” Ms. Soh, whose credits include important components and works on the National University Hospital, Changi General Hospital, and Singapore General Hospital, affirms that she will inevitably approach it with “the healthcare model that I believe in”. The process will necessarily take her beyond measures of code compliance, and put her in a position where she can incorporate social responsibility into her design DNA. “There should be budget allocated to CSR, but beyond that, it should be a part not only of the budget but the total approach to design. 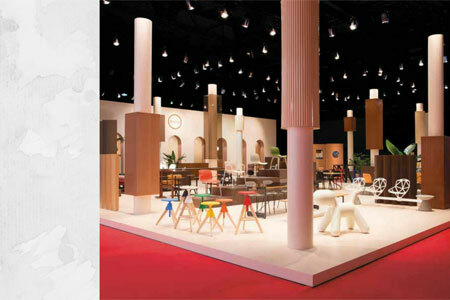 Doing good through architecture must be a social responsibility,” she elaborates. Ms. Soh graduated with honors from the National University of Singapore in 1987, and obtained her MSc in Sustainable Building Design from the University of Nottingham (UK) in 2011. She has since distinguished her career with her strong commitment to sustainability and responsible use of natural resources. 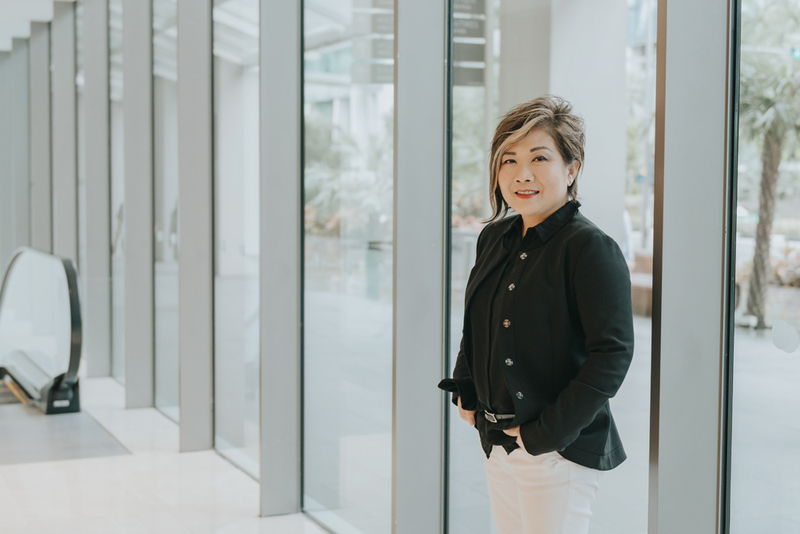 Ms. Soh leads the Committee for Social Responsibility of the Architects Regional Council Asia (Arcasia), where she is involved in several pioneering initiatives that harness expertise and cooperation among members in the region. “For us in Arcasia, CSR involves a wide range of activities and issues, including community development, human rights, labor, the environment, consumer and fair operating practices,” explains Ms. Soh. In these diverse areas, Ms. Soh has been championing CSR with member organizations and even government bodies. “There are several ways to go about it. For example, in most countries, the government has a hand in the curriculum of architecture schools. We, in Aracasia, can lobby for the inclusion of more socially relevant courses. The association has been highly effective in helping members from countries that have been devastated by natural calamities. “We have been actively participating in rebuilding efforts following natural disasters,” Ms. Soh shares. “Previously, this was done primarily through voluntary fund raising among members, but it has steadily grown into something more systematic.” Besides relief efforts, the association has started gathering and exchanging ideas about building sustainably in the aftermath of calamities. Ms. Soh reiterates that repetition of formula that proved effective in some places does not always work. “There are specific climatic and environmental conditions that must be met. I have seen solutions like container housing that worked in temperate climates fail in countries with harsh winters.” The process of gathering information, Ms. Soh admits, will take time but the association can put their collective expertise behind the project. With the results being shared among members, a tremendous potential for positive change is in the horizon, she adds. “Our relief efforts are not very large ones – we often help in rebuilding school facilities or temporary housing – but we’re doing meaningful projects.” Given the members’ combined expertise, Ms. Soh is confident that the assistance they provide will have great impact on the recipient communities. Another area that interests Ms. Soh is heritage preservation. Arcasia, she reveals, is already looking into sharing knowledge on the subject based on what they have done in their own countries. “You and I see globalization occurring very fast, and if a country does not a strong stand or understanding of heritage preservation, they may yield to economic pressure and possibly compromise what they have left,” Ms. Soh says. Preservation can be a controversial subject, Ms. Soh admits. 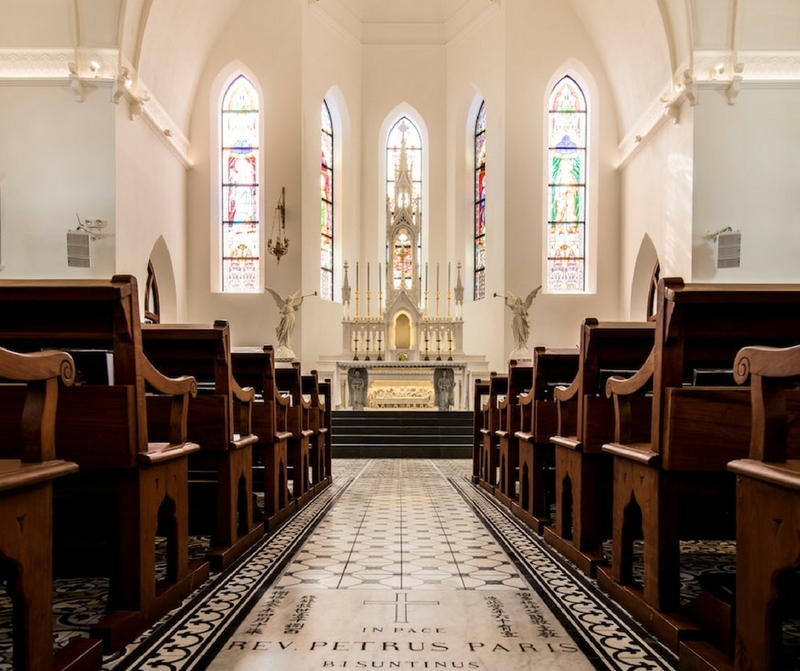 “A purist might insist that the building must be kept intact, but as you know, a building serves a particular population.” Rather, Ms. Soh favors an adaptive reuse, except in some instances such as places of worship. Ms. Soh has recently completed the restoration of the Church of Saints Peter and Paul, an active Roman Catholic church within the CBD. Originally constructed between 1869and 1870, it has seen some renovations and additions that have enlarged and altered the original. The church was gazetted as a national monument in 2003. 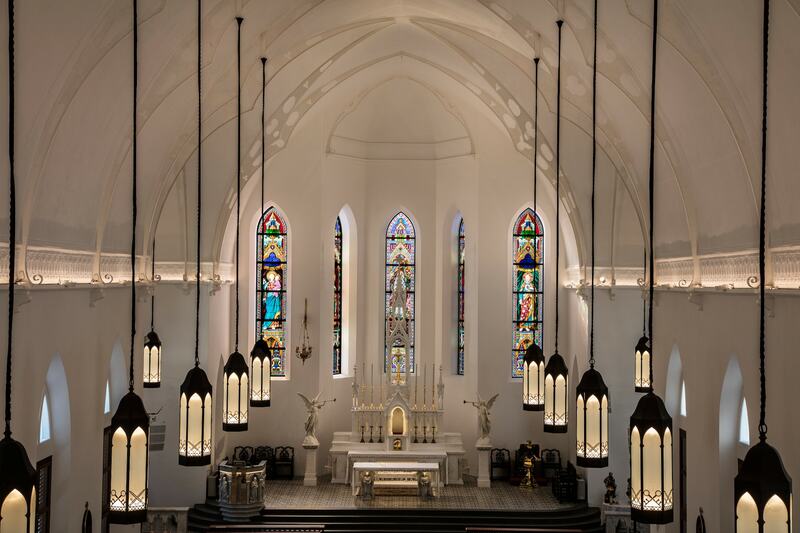 Ms. Soh worked on the extensive renovation of the church, which called for dismantling of some later additions that were deemed inaapropriate to the spirit of the original architecture. She and her team also improved the lighting, ari-conditioning, and other technical elements in the church. These were obviously achieved – unobtrusively – with new technology. “Besides repairs on various parts of the building, we reinstated some features that were in the original structure,” Ms. Soh explains. 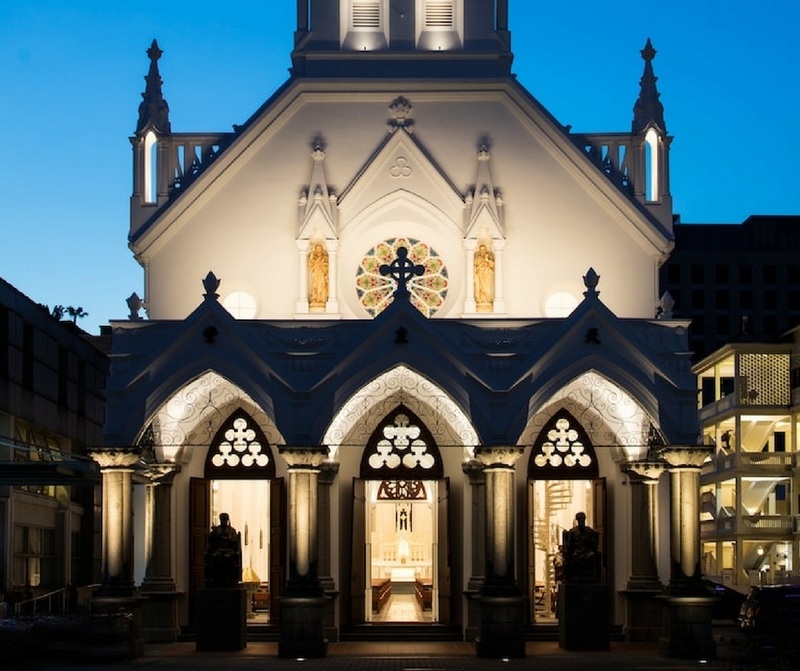 Following the renovation, the church was handed the 2016 Architectural Heritage Award by the Urban Redevelopment Authority of Singapore.